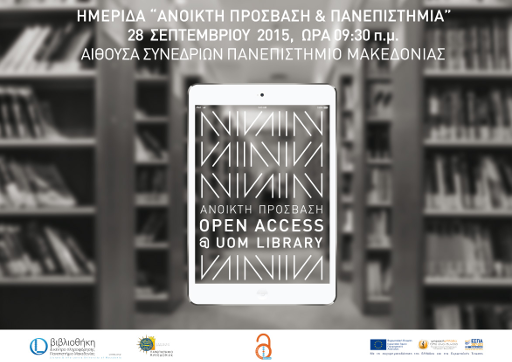 Open Access requires the copyright holder’s consent. Copyright is a bundle of rights. The norm is to sign the whole bundle of rights over to the journal publisher, though it is not necessary to do this in most cases: publishers can go about their work so long as the author signs over to them the right to publish the work. Authors and other copyright holders (employers and funders) can retain the rights they need to make the work Open Access. A premeditated retention of sufficient rights to enable Open Access is the preferable course of action rather than seeking permission post-publication. Licensing scientific works is good practice because it makes clear to the user what can be done with the work and by that can encourage use. Only a minor part of the Open Access literature is formally licensed at present: this is the case even for Open Access journal content. Creative Commons licensing is best practice because the system is well-understood, provides a suite of licences that cover all needs, and the licences are machine-readable . Regardless copyright issues should be remembered that: Over 90% of journals have even given author self-archiving their explicit green light and over 60% of them, including almost all top journals — have given their green light to self-archiving the refereed final draft (“postprint”) immediately upon acceptance for publication. RoMEO is a searchable database of publisher’s policies regarding the self- archiving of journal articles on the web and in Open Access repositories. Open Access requires the copyright holder’s consent. Copyright is a bundle of rights. The norm is to sign the whole bundle of rights over to the journal publisher, though it is not necessary to do this in most cases: publishers can go about their work so long as the author signs over to them the right to publish the work. Authors and other copyright holders (employers and funders) can retain the rights they need to make the work Open Access. A premeditated retention of sufficient rights to enable Open Access is the preferable course of action rather than seeking permission post-publication. Licensing scientific works is good practice because it makes clear to the user what can be done with the work and by that can encourage use. Only a minor part of the Open Access literature is formally licensed at present: this is the case even for Open Access journal content. Creative Commons licensing is best practice because the system is well-understood, provides a suite of licences that cover all needs, and the licences are machine-readable. Attribution CC BY This license lets others distribute, remix, tweak, and build upon your work, even commercially, as long as they credit you for the original creation. This is the most accommodating of licenses offered. Recommended for maximum dissemination and use of licensed materials. Attribution-ShareAlike CC BY-SA This license lets others remix, tweak, and build upon your work even for commercial purposes, as long as they credit you and license their new creations under the identical terms. This license is often compared to “copyleft” free and open source software licenses. All new works based on yours will carry the same license, so any derivatives will also allow commercial use. This is the license used by Wikipedia, and is recommended for materials that would benefit from incorporating content from Wikipedia and similarly licensed projects. Attribution-NoDerivs CC BY-ND This license allows for redistribution, commercial and non-commercial, as long as it is passed along unchanged and in whole, with credit to you. Attribution-NonCommercial CC BY-NC This license lets others remix, tweak, and build upon your work non-commercially, and although their new works must also acknowledge you and be non-commercial, they don’t have to license their derivative works on the same terms. Attribution-NonCommercial-NoDerivs CC BY-NC-ND This license is the most restrictive of our six main licenses, only allowing others to download your works and share them with others as long as they credit you, but they can’t change them in any way or use them commercially. Attribution-NonCommercial-ShareAlike CC BY-NC-SA This license lets others remix, tweak, and build upon your work non-commercially, as long as they credit you and license their new creations under the identical terms. Swan, A. (2012). Policy Guidelines for the development and promotion of Open Access. Paris: UNESCO.